Aaron is an Auctioneer who has truly found his passion in life. 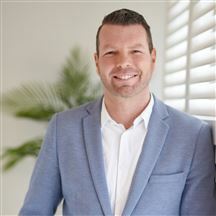 Aaron entered the real estate field as an owner in a top national Harcourts franchise in 2006, earning his stripes as the 2007 rookie for NZ and then #14 within the Harcourts group in 2008 placing him in the top 1% of agents in Australasia. Aaron has sold over $100,000,000 of real estate over the full spectrum of the market. 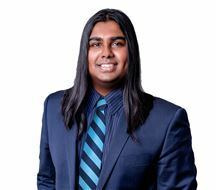 Aaron has spent the last three years perfecting his craft as an auctioneer which culminated in him winning the Harcourts national title in 2011 with his charismatic style. He enjoys the ebbs and flows of changing peoples lives through the auction process and leaves no stone unturned. He is an active member of Toastmasters and enjoys the constant challenge of balancing his work / family balance with has two children Luke and Ashley. He enjoys golf, diving and charity auctions and has taken up squash. Aaron approaches business with a very unique and expert style. When you deal with Aaron you are guaranteed a truly matchless experience! Joe started in real estate in 1990 and has been a salesperson, branch manager and a business owner. At its largest the business he co-owned had four offices and employed over eighty salespeople.He also co-owned a property management company that grew to be the largest single office property management company in West Auckland. At all levels of his real estate career he has won awards for his achievements. Joe is an Associate of the Real Estate Institute of New Zealand. He is passionate about real estate and the opportunities that this fantastic industry provides. Not only to those directly involved in the industry but to all property owners and prospective owners. He believes that there is no better investment than property and is very proud that he has helped many, many New Zealanders achieve their dream of home ownership over the years. He has a real focus on customer service and a commitment to always doing his best. In his role as a branch manager his goal is to ensure that his team concentrates on providing exceptional service at all times knowing that through this success follows. Knowledge of the market and a depth of experience in Marketing and Real Estate are crucial tools when you are selling your most valuable asset. Phil Freeman has been involved in marketing since 1970. Phil studied Marketing at Massey University and spent many years in Marketing for National and International brands, including Shell, Goodman Fielder, The Motor Trade association and a short time as a retailer, before choosing the Real Estate industry in the early 1990’s. He quickly confirmed the benefits of Profile Marketing for the sale of properties, and rapidly established a record of success for his clients. 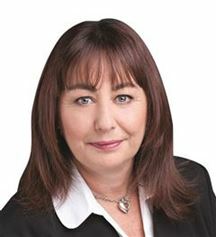 In 2002 Phil and his wife Cheryl took ownership of a Harcourts Franchise, and they and their team have grown the Company now known as Blue Fern Realty into a significant player and also largest Harcourts Franchise in the West Auckland Real Estate marke, with offices in Henderson, Henderson Heights, Blockhouse Bay, Glen Eden and Swanson Road. Their influence can be seen throughout West and Central West Auckland. Phil believes Real Estate is all about marketing, but you need to have the right people with the right skills on your team to achieve the best possible result for you, and much effort is invested into ongoing training and up-skilling for their people. The Blue Fern Group commit to the best training, and the most effective technology to ensure their clients are always served by the best professionals in the area. Phil remains right at the cliff face the business to ensure you are served with the highest professionalism in your transaction. Delin has a passion for art. He has a creative flair and great attention to detail, having spent a number of years in arts and film production industry with a Bachelor of Visual Arts. Delin was inspired to become a real estate salesperson to have the ability to help Kiwi’s own their own property and express their creativity within their house to make it a home. Delin speaks three different languages; English, Cantonese and Mandarin. This brings a huge benefit to the real estate sales process as Delin can bridge the gap between these different languages and making communicating a breeze. He treats every task as a piece of art. Delin brings this same high level of business acuity to marketing and selling homes. His goal is to maximise the profitability of your home, by utilising his artist point of view. Call Delin now to find out how he can help you sell your home for a great price. In 1988, Inder took charge of his family business in the marble and granite industry, and established it as a premier company. Five years later he started another company, in advertising and marketing, which also gained respect due to its efficient customer service. Inder believes that a lasting business is built on strong relationships. He prioritises listening to the customer’s needs, building trust and relationships. 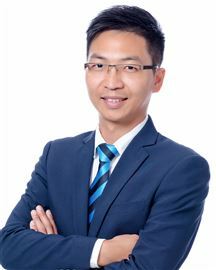 Since beginning his career in Real Estate in 2004, he has applied the same principles, and established himself as a successful Real Estate Consultant in West Auckland. His knowledge and experience in Real Estate has firm grounding with the support and trust of hundreds of clients he has had over the years. 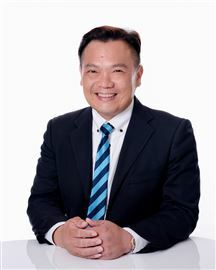 Jacky has lived in New Zealand for over 24 years and in that time he has successfully invested in business and the real estate residential property market. He is a dedicated real estate professional and is held in high regard by both vendors and purchasers he has been involved with. His strong interest and dedication in real estate is what drives him to always deliver the best results in the shortest possible time frame. 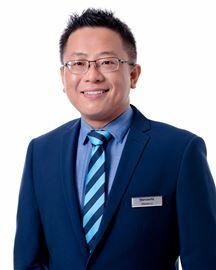 Jacky has worked out of the Henderson office for 12 years and his experience is shown from his achievement of an excess of $60 Million worth of sales. His friendly and outgoing personality has contributed greatly to his success in real estate as well as during negotiations where you will see his excellent communication and listening skills. When you are selling your most precious asset, you need to know that you will be getting a reliable, honest and professional service. Jacky will ensure to provide all of these qualities and more, leaving you stress-free and reassured that your property is in the safest of hands. You can’t beat local knowledge and I know the local property market inside out. Living in and loving our local area as I do makes selling the benefits of living here easy. Your place is my place too! • 13 years’ experience • Hundreds of homes sold Having lived in West Auckland his entire life, James has an extensive insight into the needs, values and unique requirements of people in the area. “I sell and promote a lifestyle that I personally enjoy and understand, so it’s never just a job for me, and I believe that is why I can relate to people from all walks of life”. “My goal as your Real Estate Professional, is to deliver a unique and high standard of service which is unequalled in the industry. As a home seller you can benefit from my experience, and together we can develop a strategy that will set your home apart from the competition.” James believes that the real estate industry is about people not property, and with this in mind, he is able to understand the needs of his clients and recognise the importance of ongoing communication throughout the home-selling process. “Selling your home can be a painless and profitable experience if we both put in the effort. It is a co-operative venture where we both share the same goal, to sell your house quickly and to obtain the highest price possible.” James plays an important role in his neighbourhood and gives back to the community that has supported him over the years. James and his partner provide support through direct donations to local charities, sponsorship, and voluntarily giving their time to community groups. For professional real estate advice, give James a call today. 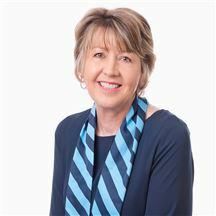 With a successful track record as a franchise business owner behind her, Jane King is proud to be a member of the successful team at Harcourts Henderson. Twenty years ago, Austrian born Jane King and her family were captivated by the ‘kiwi way of life’. She decided to immediately ‘up sticks and move’ from her home in South Africa to New Zealand to experience this kiwi lifestyle for herself and family. Since then, Jane’s husband and her twenty-four year old son have flourished in this environment, with her son having achieved a Masters Degree in Geology from the University of Otago. Her effervescent and personable approach to real estate is apparent from the outset. These traits were honed from eleven years as a business owner of a party planning company. 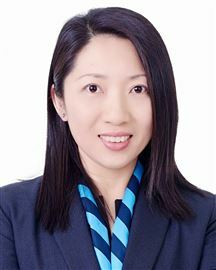 Her significant strengths as a competitive salesperson come from her twenty eight years in the technical world of computer systems. 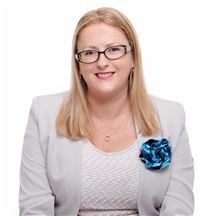 Jane brings a fresh approach to the real estate market and with the backing of the Harcourts Real Estate network, you can be assured of a high level of professionalism and skill. “As your Sales Consultant, my role is to streamline the process of purchasing or selling property. My focus is to make sure you are fully prepared with all relevant knowledge, market data and feedback to make well informed decisions.” (Jane King). Social research tells us that property transactions can be one of the most stressful events in any one person’s life. With Jane’s infectious personality and high level of professionalism, you can be confident that you have the best real estate representation and skill set for your next property transaction. Mark Malloy, working alongside his wife, Nicky Malloy have established themselves as market leaders in selling real estate in West Auckland. Team Malloy has been no. 1 Harcourts West Auckland for 2012-13 and 2013-14, and together have ranked in the Top 10 Harcourts salespersons annually for the Northern Region in 2014. Mark has an extensive sales and marketing background in both the corporate and service industries. He brings his passion for people and property to the Team with a focus on developments and lifestyle properties. Mark has a rural background, he loves the outdoors and knows what it takes to make a sale! Team Malloy look after clients' properties ranging from $200,000 to nearly $20,000,000! A stand out team that delivers on service and performance. 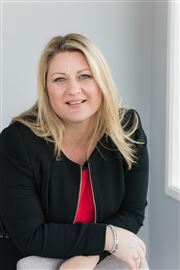 Read more about us and our achievements and testimonials in our website: www.nickymalloy.harcourts.co.nz Call us - we would love to help you with your real estate needs. Mustapha is very passionate about real estate, he believes in putting people first, treating people with respect, honesty, and listening with curiosity which allows relationships to thrive which is a very important part of the process when you are buying or selling a property. You can be sure that he will be with you all the way! Prior to embarking on his real estate career Mustapha’s previous role was with one of New Zealand’s top asset management companies that dealt with numerous investments, he has gained valuable knowledge, experience and has learnt what matters most when dealing with clients. He holds a degree in education and has eight years experience in sales, customer service and business development. 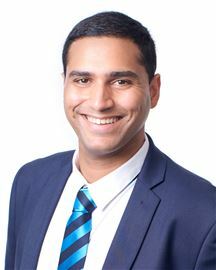 Mustapha has comprehensive knowledge and understanding of the West Auckland region, he is a proud West Aucklander and resides in Henderson Heights. As passionate as he is for real estate he also loves rugby. “I promise to ensure you are served with the highest professionalism in your transaction”. You can trust that Mustapha is committed to getting you the best results for your property while keeping you fully informed all the way. A DIFFERENT CALIBRE OF SERVICE AND RESULTS West Auckland & North-West Auckland Specialist Nathan Buxton has recently re-located to Harcourts from Ray White. South-Island raised but HERE SINCE 2010 TRANSFER from Otago, Nathan brings an industry-changing successful approach combined with the best marketing team in Auckland - testimonials galore below! Sensitively working with home-selling clients seeking solutions in a wide range of markets including over-55's looking to downsize, he also focuses on coastal, bush & semi-rural lifestyle, section sales, investment portfolios, home-and-incomes & deceased estates. If you and/or your family/business circumstances change, and that requires a property specialist to enact a profitable asset sale, you are looking in the right place. 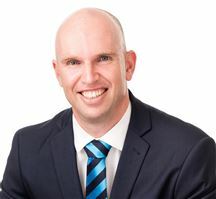 Nathan is part of a large & knowledgeable West Auckland Harcourts team, so whatever your needs in real estate, he’s positively geared to meet them and in doing so, surpass your goals. His Ecology Degree from Otago University and rural upbringing mean he's poised to deliver knowledgeably and passionately a successful result where working harder & smarter makes all the difference. If you haven't met Nathan and you’re seeking the best of real estate experiences, call him now for your free appraisal and experience extra today!! Swanson and nearby suburbs extra sales marketing package available when you phone 0800 SWANSON (0800 792 676) today! e: nathan.buxton@harcourts.co.nz ph: 027 44 88 400 and (09) 810 7024 And check out his testimonials below! 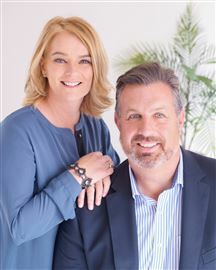 #1 West Auckland since 2012, Mark and Nicky Malloy continue their success story as one of the best real estate sales team in New Zealand, selling over $275 million in just over 8 years as a direct result of exceptional customer care and market knowledge. Mark and Nicky’s strengths come from a background of property law, sales, marketing and customer service giving this team the winning edge when selling real estate. ‘Property is not about buildings or blocks of land. It is about people, lifestyle and living. Our role is to simplify the selling process by providing our clients with exceptional service, experience and market knowledge so they can confidently make the most informed decisions... Clients and their diverse requirements always come first - We listen, then create a tailor-made plan to ensure their best result. Our extensive experience in home renovation, building, buying and selling property offers our clients a more informed and personal experience when selling’ say Mark and Nicky. Known for their open and friendly style along with extensive experience selling residential homes, lifestyle blocks, sections or development blocks, Mark and Nicky give you the confidence you need when selling your property. Awards #1 West Auckland since 2012 #2 Auckland 2016 #5 Nationally 2016 #5 Internationally 2016 #10 Nationally 2017 #12 Internationally 2017 Team Malloy 0800 180 111 - seriously good at selling. Making your needs a priority, working tirelessly to deliver great results, and doing it all with a passion - these are the cornerstones of my business. My background includes working as a musician. It's a passion of mine, but it's also my greatest achievement, one that has helped me see and do so much. I am fluent in both English and Hindi, and have a wide network of contacts. Whether you are buying or selling, I am able to offer you expertise, advice and service you can rely on. Steven Li – is no stranger to achievement or the challenge of handling multiple tasks in the process. Having entered Real Estate directly from a role in logistics, Steven managed a team of over 60 couriers co-ordinating daily operations and dispatch. The high level of competency and organisation within this role has seen Steven apply these strong competencies to his career in real estate with his results from onset, as a reflection of this. 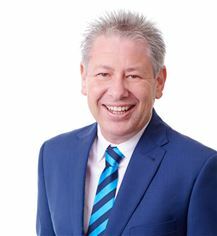 Being driven to provide the highest level of service and communication, Steven delivers results, with his clients commending his attention to detail and commitment to achieving a premium property sales result. Being fluent in both English and Mandarin enables Steven the ability to bridge cultures bringing a distinct benefit to the real estate sales process. Steven’s vibrant personality and willingness to establish strong ongoing bonds with his clients reinforces his ethos of tenacity, commitment and achievement as a high level, results driven achiever delivering the advantage of success to the benefit of all his clients. 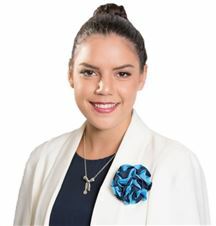 Teresa has a Business Degree – majoring in Advertising and International Business from AUT. 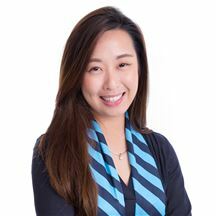 She has solid knowledge of media planning and strategy which gives her vendors the advantage of reaching the greatest number of buyers in the most cost effective and efficient way. This ensures that you sell your property for the highest price possible. Teresa is equally comfortable working with both buyers and sellers. She is dedicated to the real estate profession, has great empathy with people and is truly committed to providing the best possible customer service. Living in New Zealand now for many years, Teresa proudly calls West Auckland home. Teresa speaks English, Mandarin and Cantonese. If you are looking for a professional, efficient person to help you with your real estate needs, call Teresa today and she will help you make your dreams come true. Yuvraj is a results-oriented and hardworking professional with a background in the Biomedical and Hospitality industries. He is very proficient in Sales and Marketing with excellent customer service and engagement skills and a good understanding of other cultures. Yuvraj can speak several languages, including Gujarati and Hindi. Yuvraj is very focused on to getting the best outcome for his clients and committed to delivering service with the highest level of professionalism. He always pays attention to detail, is hardworking and reliable with a friendly, outgoing personality able to build rapport quickly. 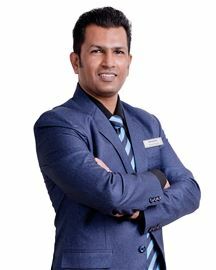 Yuvraj will utilize his skills and expertise to get the best results for his clients, so if you are looking to buy or sell real estate whether it is an investment, a family asset or your first dream home, Yuvraj would be more than happy to help you. Why not call Yuvraj today for a no obligation chat and see how he can make big difference to your real estate needs. So why not call Yuvraj today for a no obligation chat and see how he can make big difference to your real estate needs. Colleen joined Team Malloy in June 2018 after being in Real Estate Administration for 4 years and comes to us with over 20 years administration experience. She has a “can do” attitude and is fitting in with us very well. She grew up in Henderson and has spent most of her life in the area. Married to Milan in March 2017, they have decided that west is best! Outside of work she is an active Committee Member of Henderson RSA. Colleen cares about people and enjoys making a difference where she can. SOLD - Auction pulled forward! Perfect for First Home Buyers! Could be the buy of the year! Empty and Ready to Buy! Wahoo - Waihi here we come! Moving on After 16 years! Easy Living - Easy to Love! SOS & Not Coming Back! Do Not Delay - Call Today! Modern Living In New Lynn! You Can Buy This Home Now!